Grape seed is just what it sounds like—the seed of grapes. Unlike the flesh of the fruit, grape seed has bitter qualities yet still imparts a low level of sweetness. Whole grape seed is the origin of grape seed oil, which is a by-product created during the process of making wine and now a popular cosmetic and cooking oil valued for its high smoke point. Grape seed is also an abundant source of nutrients, including flavonoids, linoleic acid, vitamin E and various antioxidant compounds, most notably resveratrol. Vitis vinifera is a member of the Vitaceae family and is a liana growing to 35 yards tall, with flaky bark. The leaves are alternate, palmately lobed, 5–20 cm long and broad. The fruit is a berry, known as a grape; in the wild species it is 6 mm diameter and ripens dark purple to blackish with a pale wax bloom; in cultivated plants it is usually much larger, up to 3 cm long, and can be green, red, or purple (black). 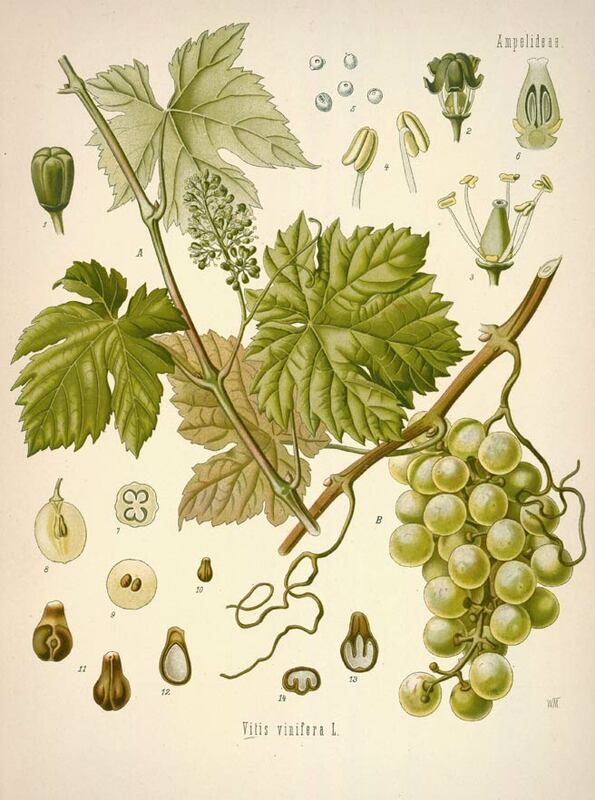 "Vine" is derived from viere (to twist) which possibly references the plant's habit of twining. Vitis vinifera is native to the Mediterranean region, central Europe, and southwestern Asia, from Morocco and Portugal north to southern Germany and east to northern Iran. Vitis vinifera typically occurs in humid forests and streamsides. Prefers a deep rich moist well-drained moderately fertile loam soil. Grows best in a calcareous soil, but dislikes excessively chalky soil. Grape vine is propagated by seeds, layers, cuttings, and grafting. Sow seed in a cold frame as soon as it is ripe. Six weeks cold stratification improves the germination rate, and so stored seed is best sown in a cold frame as soon as it is obtained. Germination should take place in the first spring, but sometimes takes another 12 months. Take cuttings of mature wood of the current season’s growth, December-January in a cold frame. These cuttings can be of wood 15 - 30cm long or they can be of short sections of the stem about 5cm long with just one bud at the top of the section. In this case a thin, narrow strip of the bark about 3cm long is removed from the bottom half of the side of the stem. This will encourage callusing and the formation of roots. Harvest grapes in late summer or early fall and extract the seeds via a press. 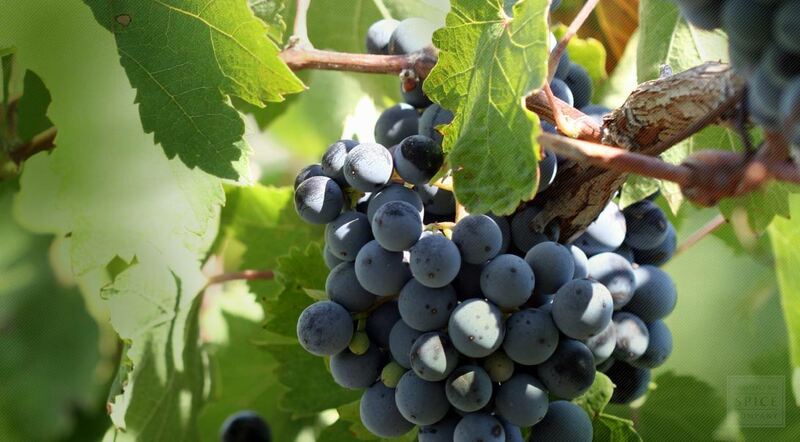 It takes nearly a ton of fresh grapes to produce one bottle of grapeseed oil. The process is lengthy and done by machine. Store dried grapeseeds in an airtight container in a cool, dry place.